Should Your Dealership Get Chrome Emblems of its Logo? Do you want to make the vehicles you sell at your dealership stand out once they leave your lot? One of the simplest ways to do it is by adding chrome emblems with your dealership's name on the back of any car, truck, or SUV. Emblems will help to promote your business once someone drives a vehicle off your lot. They will also provide potential car buyers with the information they need to find you. Many auto manufacturers are already using chrome emblems on their vehicles to identify the makes and models of them. So when you do, too, your emblems will match theirs and enhance the look of a vehicle rather than dragging down its aesthetic appeal. But before you start putting chrome emblems on all of your dealership's vehicles, there are a few things you should keep in mind. Take a look at them below. There are many auto dealerships that opt to place stickers on the back of vehicles instead of emblems. 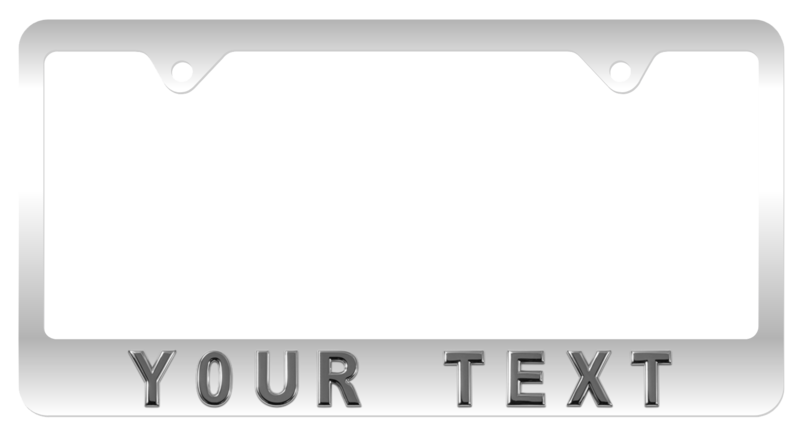 There are also many others that will try to get away with attaching branded license plates to vehicles. Many car buyers will see right through this approach and remove the badges as quickly as possible since they don't add anything to the vehicle. However, when you go with a chrome option, you're more likely to encourage people to leave the emblems on since they'll look good. This will bode well for your dealership as you'll notice more customers leaving their emblems on as opposed to taking them off once they leave your lot. While there are some customers who will appreciate the way your dealership's chrome emblems look on their vehicles, you don't want to discourage people from embracing the emblems. One way you're likely going to do this is by making the emblems too large. If the emblems are bigger than the manufacturer's emblems, customers are not going to enjoy having them on their vehicles. They're going to think they look too much like billboards for your business as opposed to accents on their vehicles. You can avoid running into this problem by keeping your emblems on the smaller side. The great thing about chrome is that it'll pop against almost any background without you having to force it. You should order a few different sample emblem sizes to see which works best. You obviously want people to be able to see your emblems. But you don't want to risk making the emblems too big and ruining the look of a vehicle. When you start placing chrome emblems on vehicles on your lot, you want to find inconspicuous places on the cars, trucks, and SUVs to put them. You obviously wouldn't ever want to put the emblems on the front of the car or right on the bumper where they'll draw a little too much attention. Your goal should be to make people want to keep your emblems on their vehicles once they buy one. You can do that by making it look like the back of the vehicle would be missing something if they were to take off your emblem. In addition to picking out the right size emblems and finding the right place to put them, you should also take the time to ensure all chrome emblems are affixed to vehicles the right way. You should always use an automotive adhesive foam tape that will hold up under the worst weather conditions and stay in place when a vehicle goes through a car wash.
You should also make sure your emblems themselves have been made using high-quality materials that are built to last in any weather. But maybe most importantly--and this might sound a little silly, but make sure you keep it in mind--you should make sure you don't put an emblem on a car crooked. Nothing will make a customer want to take an emblem off quicker than if you slap it on a vehicle and it's not straight. And even if they do keep it on, do you really want them to? It will reflect poorly on your business when the customer is out driving a car with your crooked emblem on it. No matter how diligent you are about finding the right chrome emblems and placing them on vehicles properly, there are still going to be some people who, quite frankly, just don't want emblems on their vehicles. Don't get too bent out of shape about this. Some people just don't like the way dealership emblems look, while others don't want to broadcast where they bought a vehicle to everyone, for whatever reason. You shouldn't allow this to discourage you from giving emblems a shot anyway. More often than not, people will leave them on their vehicles, and it will be great for your business. It will also show that you're committed to quality, right down to the emblems you place on your vehicles. So, what are you waiting for? Start sticking chrome emblems on your vehicles now. Do you want to put chrome emblems of your dealership on the vehicles on your lot? You should take a look at your options and choose the emblems that will represent your dealership the best. Contact us to order emblems or ask questions about other products you can use to get your dealership's name out there. From Famous Car Symbols to Custom Car Emblems: What You Need to Know	New and Improved Website Officially Launched!